660 LBS Digital Scale | BUDK.com - Knives & Swords At The Lowest Prices! 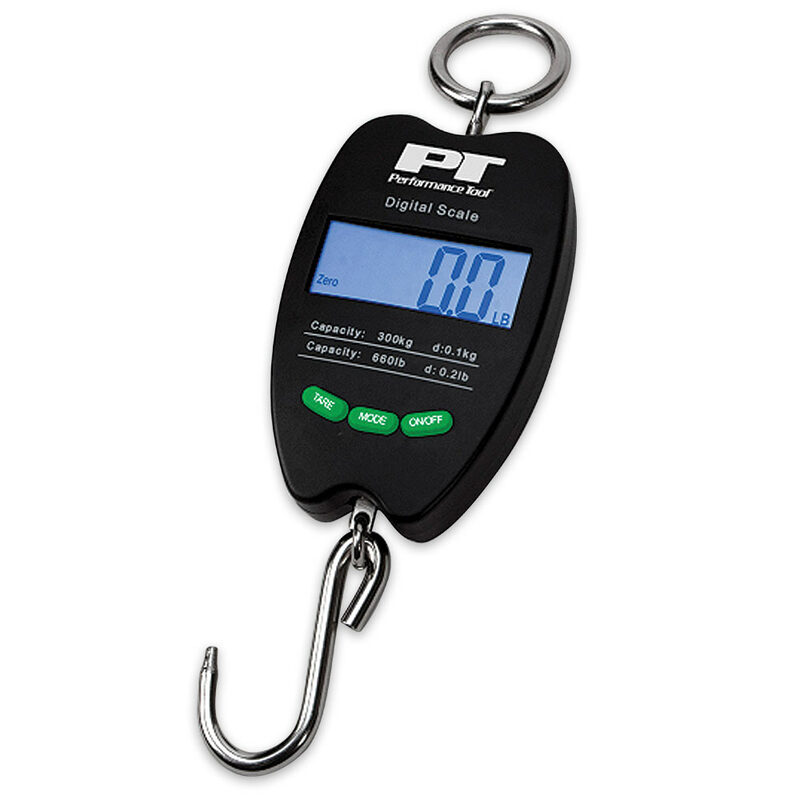 Provides accurate readings up to 660 lbs. The 660 LBS Digital Scale features a large digital LCD screen that clearly shows weight in pounds, kilograms or ounces. The scale has a strong steel S-hook and O-ring to connect to a hoist or gambrel. You get accurate readings up to 660 lbs. ; 300 kg.